Bach double-marked that sentence for emphasis (from Evening in the Palace of Reason by James R. Gaines). That sentence sums up Bach’s understanding of music, “his” music, as he would mark on his scores AMG, ad mairorem Dei, to the greater glory of God. In his day, the Enlightenment, ‘modern’ music was suppose to reflect how the composer felt and what the people wanted to hear. Sound familiar? On NPR, they will have a segment that I call OMS, the obscure musical segment when the artist intros his/her work and tells us what “he is trying to do”, or what he was feeling at the time of composition. Not for J. S. Bach: it was to proclaim the Gospel. Bach did not listen to what people wanted, but what he heard the Lord command and promise. In an episode of M*A*S*H, Radar falls for a nurse who is quite cultured and loves classical music. He goes to Hawkeye and Trapper for lessons in classical music. Hawkeye gives Radar the names of some composers and then says, “…then if she mentions Bach, just say, ‘Ahhh, Bach’”. He has been called, after Matthew, Mark, Luke and John, the 5th evangelist. In his day, he was not known beyond Germany. After his death, his music was rediscovered. His output for 27 years in Leipzig for 4 churches was massive. St. Augustine said that singing is praying twice: with the words and with the music. Bach’s texts usually were the Bible and he put the Scripture to music. People grow increasingly uncomfortably the more specifically Christian the talk gets. But Bach’s great church music was all about Christ. They can’t help but tell us that when they feature the popular chorale from Bach’s Cantata 147, Jesus, Joy of Man’s Desiring. 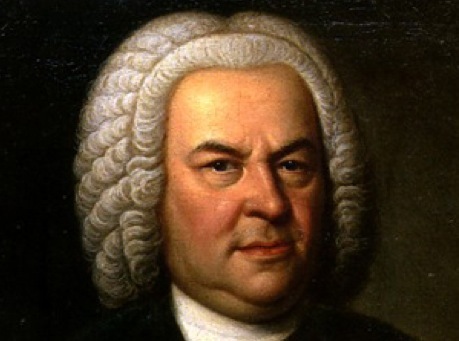 Almighty God, beautiful in majesty and majestic in holiness, You have taught us in Holy Scripture to sing Your praises and have given to Your servant Johann Sebastian Bach grace to show forth Your glory in his music. Continue to grant this gift of inspiration to all Your servants who write and make music for Your people, that with joy we on earth may glimpse Your beauty and at length know the inexhaustible richness of Your creation in Jesus Christ, our Lord, who lives,and reigns with You and the Holy Spirit, one God, now and forever.